If you’re looking to grow your business, you don’t have to have a degree in marketing to know that in order to reach an audience, you need put your name where people are focusing their attention. But where do you start? If your thoughts are print ads, television and radio commercials, billboards, telemarketing, and so on, you may want to reconsider your approach! People are tired of the same old ways of being sold to and would like to feel more involved in the process of what they consume. This shift in consumer behavior has led to the development of a concept called inbound marketing. The major difference between traditional marketing and inbound marketing (a term coined by HubSpot in 2006) is that instead of seeking out prospects, you’re inviting customers to find you! Inbound marketing focuses on the creation of high quality and lucrative content that attracts people to your website, which increases your overall brand recognition. In addition to attracting more qualified customers to your business, the process converts them into lasting customers, as well as promoters of your business. In the simplest sense, the inbound method can be broken down to four different steps: Attract, Convert, Close, and Delight. Inbound marketing starts with attracting potential customers with content like blog posts or graphics that they find interesting and/or informational. In order for your inbound marketing strategy to work, you must align your content with your target market's interests and what value it would have for them. A key element of this part of the process is to have the content optimized with keywords and to promote it on social media. Once you have attracted visitors to your site, the next step is to convert them into leads by getting their contact information. However, in order to get that information from them, you have to offer something of more substantial value than what led them in. Businesses use calls-to-action to bring prospective leads into landing pages where they must fill out a contact form in order to gain access to premium content like a free consultation, an e-book, or a webinar. Once you’ve obtained their information, you should following up with them to close them as customers since you know they’ve shown a more serious interest in what you have to offer. This can include sending the prospect strategically timed emails, sending the prospect to your sales team, and watching their buying signals to know when it's time to make the sale. The key is to stay tuned in enough that they feel a relationship building, but to maintain a respectful amount of space as not to annoy them. The ultimate goal of inbound marketing isn't to just make the sale, but to turn each customer into a raving fan who will tell everyone they know about how great your product or service is. 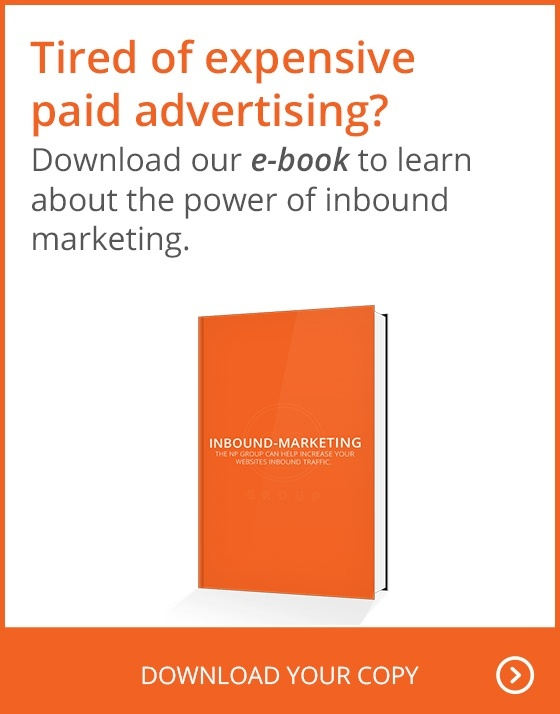 Stay tuned for Monday’s article where we explain more benefits to the inbound process! PS: As an official HubSpot provider, we can help to offer more in-depth inbound marketing strategy and even campaign creation. Check out our marketing page for more information.